A message from this vineyard: go horticulture! The Rocky Hill vineyard last year produced 1000 tonnes of table grapes. At $3 to $4 a kilogram that’s worth $3m to $4m. 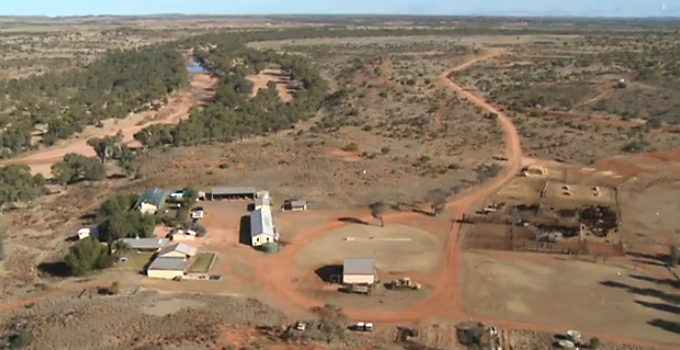 Undoolya Station produces 1000 tonnes of beef a year. At $1.50 to $1.80 a kilo that’s worth $1.5m to $1.8m. The grapes are grown on 70 hectares, the beef on 140,000 hectares. Is there a message? Sure looks like it: go horticulture! And we tried to find out why year after year, contract pickers and pruners have to be brought in from 2000 kms away while there are hundreds of unemployed people within 50 kms of Rocky Hill. By ERWIN CHLANDA. 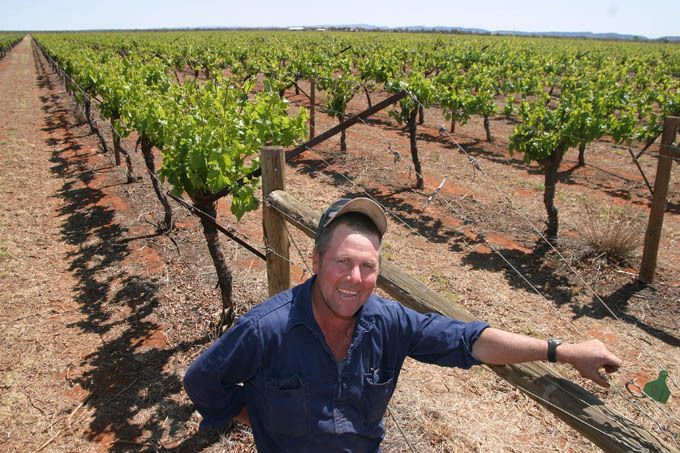 Ritchie Hayes is pictured at the Rocky Hill vineyard, south-east of Alice Springs. June 7, 2000: LAND COUNCIL SEEKS GROUND BREAKING DEAL. Report by ERWIN CHLANDA. August 8, 2001: ABORIGINAL CITRUS DEAL AT UTOPIA FALLS THROUGH. Cars in Todd Mall again? The northern section of Todd Mall (photo above) may be opened up for vehicle traffic again. 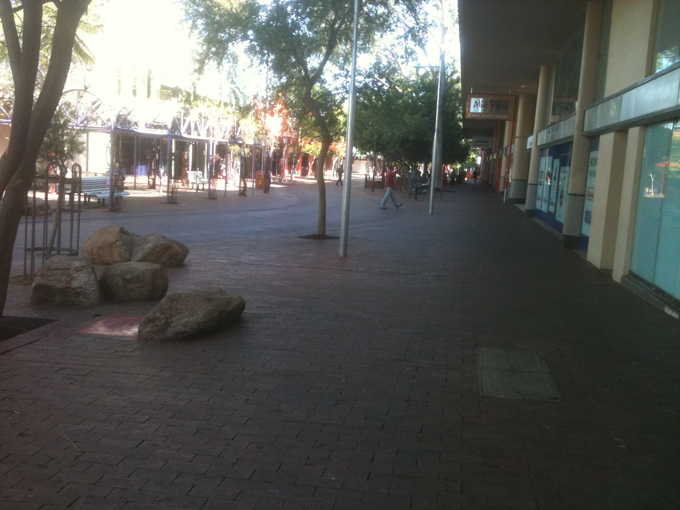 Alice Springs News Online understands it is part of CBD revitalization proposals due to be made public by the Town Council in about two weeks’ time. Under consideration is the entire mall and the part of Todd Street to KFC at the southern end, as well as a town square on the site of the Hartley Street car park. EXCLUSIVE by ERWIN CHLANDA. Photograph (below) shows Todd Street from the north looking south in the 1960s. The picture, supplied to us by Barry Allwright, comes from the Bill and Daphne Vivian Collection, Central Australian Historical Images, Alice Springs Public Library. 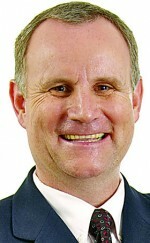 The announcement that major beverage producers are seeking to overturn the Territory’s Container Deposit Legislation should come as no surprise to a Labor Government that was warned its laws were deficient without support at the national level, says Shadow Attorney General, John Elferink (pictured). The Federal Government scheme which turned the Henbury cattle station south of Alice Springs into “the world’s largest carbon farm” will be a model for other pastoralists wishing to diversify, says Federal Environment Minister Tony Burke. He says so far there have been no similar applications for funding under the National Reserve System which contributed $9m – two-thirds of the purchase price. The new owners, RM Williams Agricultural Holdings, are planning to turn the 500,000 hectare property “into a nature reserve, effectively removing thousands of cattle from the food chain,” as Nationals Senator Fiona Nash puts it. She also asked what checks and balances are in place to ensure accountability for the taxpayers’ $9 million contribution and would RM Williams have to repay the grant if the property is sold? ERWIN CHLANDA reports. 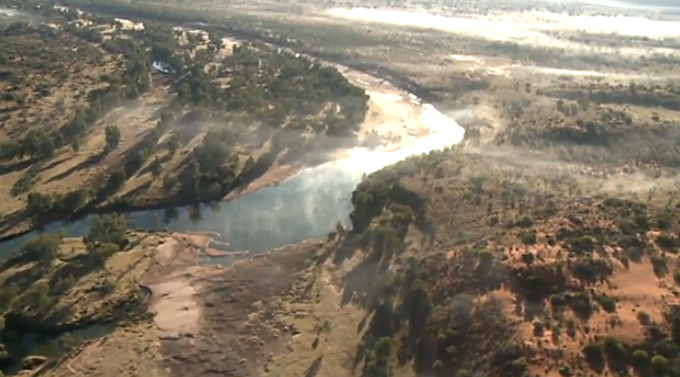 Photo above: The Finke and the Palmer Rivers flow through Henbury Station. The Finke is the oldest river in the world. Below: The homestead. Photos Federal Government.